Welcome to DeathList 2019. This page shows a list of 50 celebrities which the DeathList committee has chosen for their likelihood to die during 2019. The rules of DeathList are summarised as follows: Candidates must be famous enough such that their death is expected to be reported by the UK media; Candidates cannot be famous solely for the fact they are likely to die in the near future and only 25 candidates can reappear from the previous year’s list. 2017 saw a record 17 deaths, 2018 could not live up to that standard with 12 deaths. How many can 2019 deliver? 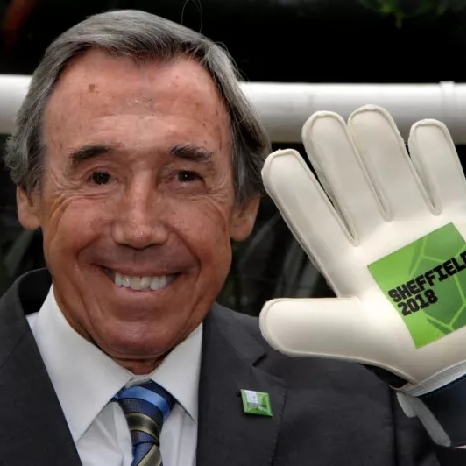 Legendary England goalkeeper, Gordon Banks, has taken his place between the goalposts in the sky. Banks was England's keeper when they won their only World Cup in 1966. However, it was in the next World Cup in 1970 against Brazil where he made, what some consider to be, the greatest save history, pushing a bouncing header from Pele over the bar when it appeared it was a certain goal. Sadly, Banks' football career was effectively ended in 1972 when he had a car crash leaving him blind in one eye. After retirement Banks remained a popular and well-liked character. He died aged 81 after suffering from kidney cancer for some time. He was making his second appearance on DeathList, this year at number 19. Appropriately he becomes the No.1 success for this year's list.